At the beginning of the school year, 1976, the Fenter family in Springfield, Oregon hosted their first Japanese teacher. Yoko Mita was from Nagasaki, Japan. She said, "You should come to Japan to teach English." That simple invitation started a year-long correspondence with a Japanese junior college near Nagasaki, which led to contracts for teaching jobs for both Kenneth and Lora Fenter. They resigned their teaching jobs in the Springfield school district and took their two children Philip, age 12 and Janelle age 9 to the small rural town of Isahaya, Japan. They did not quite find what they had expected. There was no international school. So Philip and Janelle were enrolled in the local public schools where they could speak no Japanese and there was no English instruction. Ken's assignment was in both a Chinzei High School and Chinzei Junior College. Lora's assignment was at Chinzei Junior College. There was only one other American in the town of about 75,000. The five Americans and one Greek man were the only non-Oriental people in the city that the Fenter's were aware of. After awhile, they began to meet people in the town both business people and professional who befriended them. Because of the children doors opened as families wanted to meet the children. Friendships formed. From moment to moment the family experienced highs and lows emotionally. The children experienced bullying and incredible kindness from adults and other children alike. From the beginning Kenneth kept detailed journals of the experience. 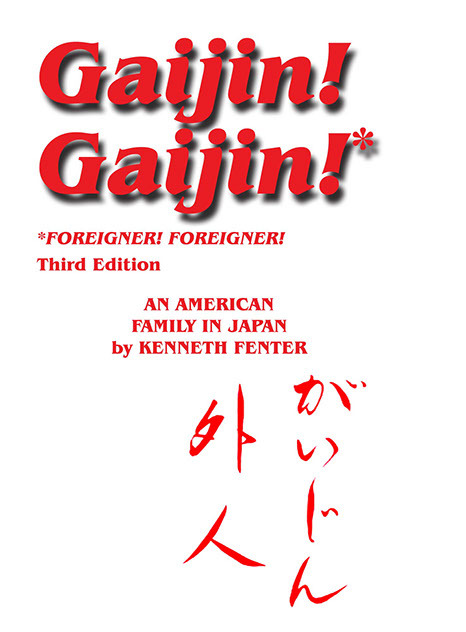 In 1985 the book Gaijin! Gaijin! followed by MoIchido: Once More emerged from those journals.